Traverse City, Michigan, enjoys the distinction of being on the shores of Lake Michigan. The lake is so popular for swimming and fishing and boating. And its micro-climate helps Traverse City be the Cherry Capital of the World,”. Beyond the boating lifestyle, Traverse City is a top arts town. 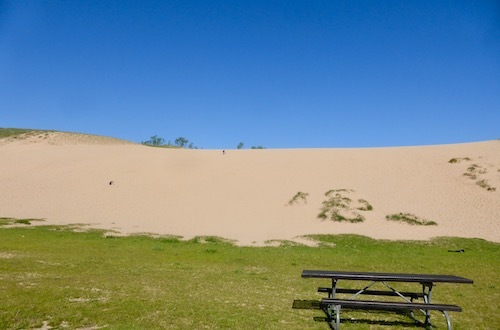 It also has terrific golf, skiing, and other outdoor activities on Lake Michigan. In 2005, the Traverse City Micropolitan Statistical Area was the 13th largest in the United States, with a population estimate of 141,011. The campus of Northwestern Michigan College is here. Traverse City is the seat of Grand Traverse County. 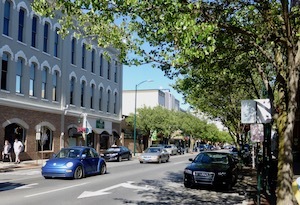 The historic downtown area of Traverse City has great shops, restaurants, and offices.